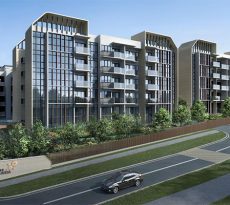 Located along West Coast Vale in the most sought-after District 5, Whistler Grand is a new up and coming condo project by City Developments Limited (CDL). The development, whose site area covers 210, 883 square feet, lies in a private housing estate with low traffic and peaceful environment, which is perfect for family and nature lovers. That, plus its close proximity to various amenities makes Whistler Grand one of the most coveted recent developments in the area. 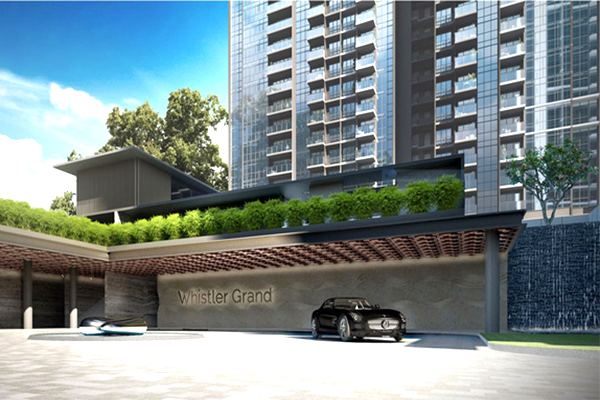 The iconic Whistler Grand project is expected to yield a total of 716 exclusive residential units and 2 shops. The condo will comprise a perfect mix of 1 to 5 bedroom units, with some featuring study, premium, flexi and/or dual-key options.In terms of condo facilities, Whistler Grand will come with an indoor gym, tennis courts, BBQ pits, lap pool, Sky Club, two sky terraces, Star Club, among other great installations. So, life on this residence is set to full of comfort and fun for future residents. 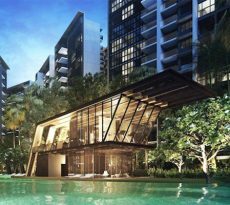 One of the main features to put in mind when looking for a home to buy in Singapore is the convenience to and from other places around. And the Whistler Grand has a solid transport network. Those who want to get around Singapore by train can use the nearest Clementi MRT or opt for the Jurong East Interchange. The upcoming Pandan Reservoir MRT also sits close to the development. 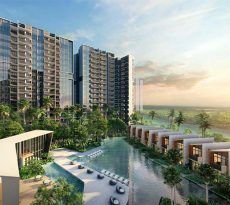 In terms of road network, Whistler Grand is well-linked to the Ayer Rajah Expressway and the West Coast highway, which are connected to other major expressways and by extension, the Singapore Central Business District (CBD). Those who prefer driving their car are well covered too, as it will take them a few minutes to drive to Marina Bay Financial District, Orchard Shopping Center and the CBD. What Amenities Are Found Nearby? Less than 10 minutes’ drive away from Whistler Grand lies a chain of shopping malls like Westgate, West Coast Plaza, IMM, Jurong East Mall and more. Here, residents can shop for everything from household goods, designer clothes, food stuff and other specialty goods. There is also an abundance of renowned local and international schools nearby such as Qifa Primary, Nan Hua Primary, NUS High School, Anglo-Chinese School and National University of Singapore. For fun outings, residents can visit the Singapore Science Center and the Discovery Center in Jurong or even go to the Snow City, an indoor snow center that offers amazing ice-skating, especially for kids. Those who would want to get relax, refresh and interact with nature can do so in nearby parks like Pandan Gardens Leisure Park, Jurong Lake Park, Yuhua Village Neighborhood Park, Bukit Batok Nature Park and more. There will definitely never be a dull moment for residents of Whistler Grand. City Development bought the Whistler Grand site at a cost of $472.4 million, which works out to $800 per square foot (psf) per plot ratio (ppr). Considering the construction costs and profit margins plus other expenses, the estimated launch price, translates to about $1,495. That’s quite a good deal, putting in mind the condo’s location and luxurious design. Here at iCompareLoan Mortgage, we understand how difficult it can be to get access to home loan info and packages from top lenders in the country. That’s why we have done all the rate-shopping for you. Through our online platform, you can search for different loan packages based on unit type, amount, repayment period and interest rates. Your work will only be to compare home loan Singapore and find the most ideal package for you. There are simply countless options to choose from-whether you’re looking for a new loan or hoping to get a refinance. And what’s more, getting in touch and making a closure with the lender after identifying the best loan product is quick and seamless through our services.